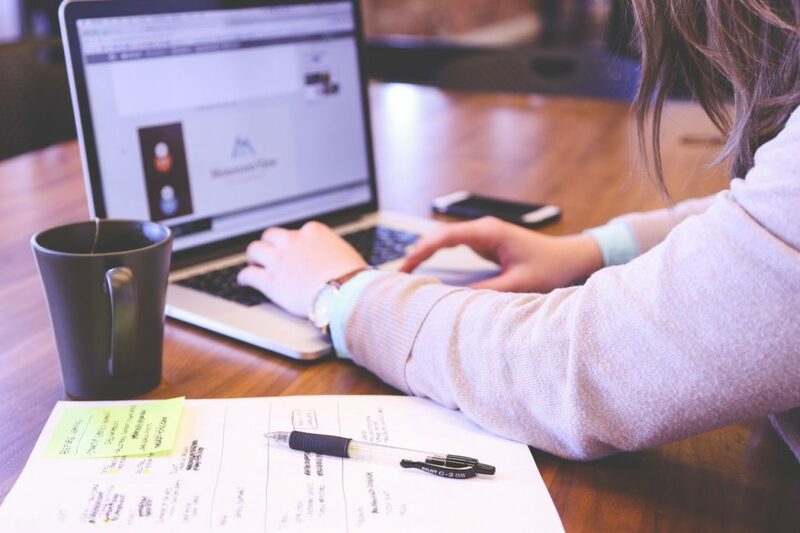 News flash: Sitting for long periods of time can cause low back pain. In order to remedy your low back pain, it is important to first address the muscles on the front of your body. Over time, sitting causes tightness in the hip flexors and it can irritate the spine. Ths causes inflammation and pain, focused in the low back. By understanding basic anatomy of you hip flexors, you will be better able to incorporate effective stretches into your routine. Your hip flexor muscles (Illiacus, psoas, rectus femoris, sartorius, pectineus, and tensor fasciae latae), are shortened when you are in a seated position. A great way to decrease pain is by “rolling out” with a foam roller. Facig down towards the ground, place the roller about one to two inches below the top of your hip bone. Then, roll forward and backwards searching and scan for a tender spot as you roll from your hip to knee. Once you feel tenderness, keep compression on that spot. Using your body weight for five to ten seconds, maintain pressure then bend and extend your knee until the tenderness has been alleviated. This will actively release the tight bundles of muscle fibers, and rehydrate the tissue. When tissue lacks water, blood flow, and nutrients, it loses its ability to function properly. This soft tissue mobilization is a great way to facilitate the healing process, by redistributing water to the areasof tissue lacking hydration. The more hydrated the tissue, the better it will operate. After the soft tissue work on the roller, you must stretch the hip flexor in order to increase elasticity. To stretch the muscle, move into a half kneeling position. Place one knee on the ground with the knee slightly behind the hip, making a 90 degree angle. 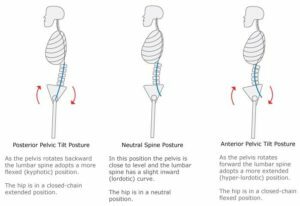 Engage the glutes to perform a posterior pelvic tilt to create a neutral spine, so you do not stretch your low back. 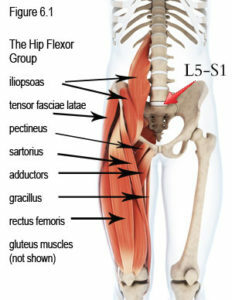 During the contraction of the glutes, the antagonist group of hip flexor muscles are inhibited, stretching them out. Hold this for 20-30 seconds, and repeat five times per side. Practice this daily if you sit often for long periods of time. Come see us at Greenwich Sports Medicine for more helpful tips on preventing low back pain.